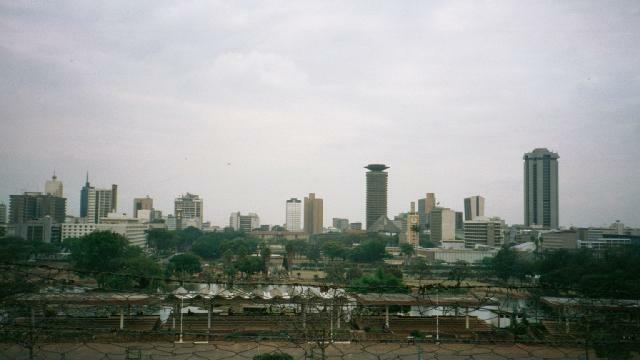 Nairobi, the city in the sun, functions as a 'gateway' to East Africa as it is generally easier to get cheap airline deals to this city than most of its counterparts. So it is not strange to see people wanting to go on a safari in Tanzania or Kenya to land in this city. Almost every traveller is bombarded with horror stories about why Nairobi should actually be renamed as 'Nairobbery'. But I feel that as long as you keep an eye on your belongings and use a bit of brains, you will not have any problems touring the city. Nairobi, for a tourist, does not have too many things to offer and within a couple of days you normally would have covered the 'hot spots' in the city. 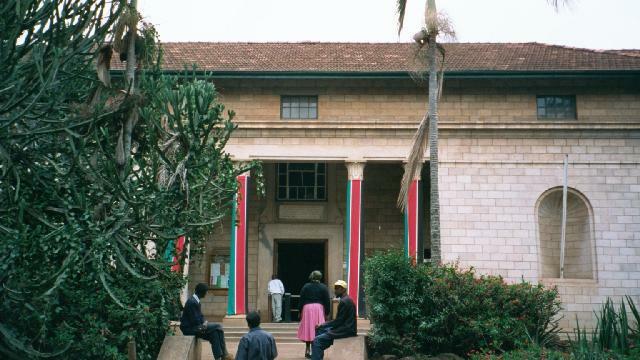 The National Museum and the snake park would certainly figure in the hot spots list of any visitor to Nairobi. The museum is famous for its 'early man' section and has a decent collection of bones and fossils from the pre-historic era. A fossil of an elephant almost preserved to its entirety stands out among the collection. The museum has a near-complete skeleton of a 12 year old Homo erectus boy along with many skulls of Homo Sapiens and Homo Habilis and Australopithecus (Lucy of Ethiopia falls in this category) variety. A cast of the famous 'Oldpai' hominid's footprints is also present in the museum. Apart from old bones, the museum also has a decent stuffed animals collection and more than decent collection of tribal (particularly Masaai) artifacts. The snake park next to the museum has about a score reptiles including the two deadliest snakes in Africa - black mamba and the puff adder. The park also houses the famous Nile crocodile and some stunning fishes from the great lakes - Tanganyika, Victoria and Nyasa. The only other museum of repute in the city is the rail museum which I, unfortunately, couldn't visit. Nairobi itself owes its existence to the railways. The city was created by and for the railway workers as it falls at the midpoint of the Uganda-Mombasa rail route. The other points of interest in the city are the parliament building, library, times tower (owned by the National bank of Kenya and with 32 stories it is the tallest in the city), Kenyatta's memorial and the Nairobi mosque. The Nairobi National Park, I think, should be the biggest tourist attraction in the city. 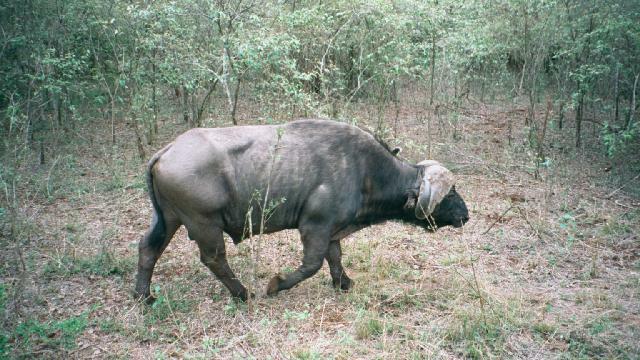 Nairobi is the only city in the world which houses a full fledged national park within its limits. Within 20 mts from the city centre, you can find yourself inside the 120sqkm large park housing very high density of wild animals. 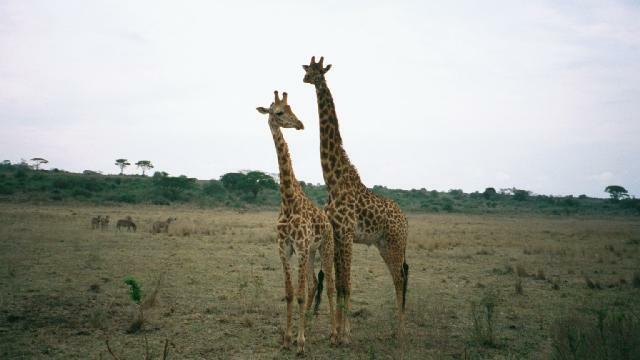 Since the park is small, it is much easier to spot a cheetah, a black rhino or for that matter even a kill here than its bigger cousins in Amboseli and Serengeti. The smallness of the park is also the reason why it does not house any elephants. Elephants, as you all know, need their own 'space'! The park, which is actually open on its west side, is a must see for all people - even if they are enroute to or on their way back from a fortnight long safari. 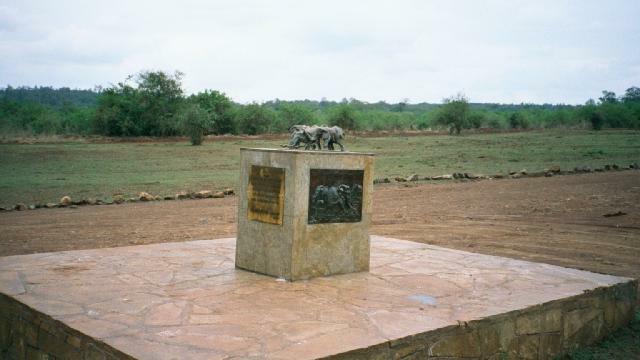 The park also contains a monument built to mark the end of ivory trade. It was here where heaps of ivory captured from the poachers, were burnt. The people who don't feel comfortable travelling in Nairobi all alone (after allowing the 'stories' to play on their minds), do have the option of taking an all encompassing city-museum-national park tour for about US$80 - 90 per head. Click here for more photographs from Nairobi.